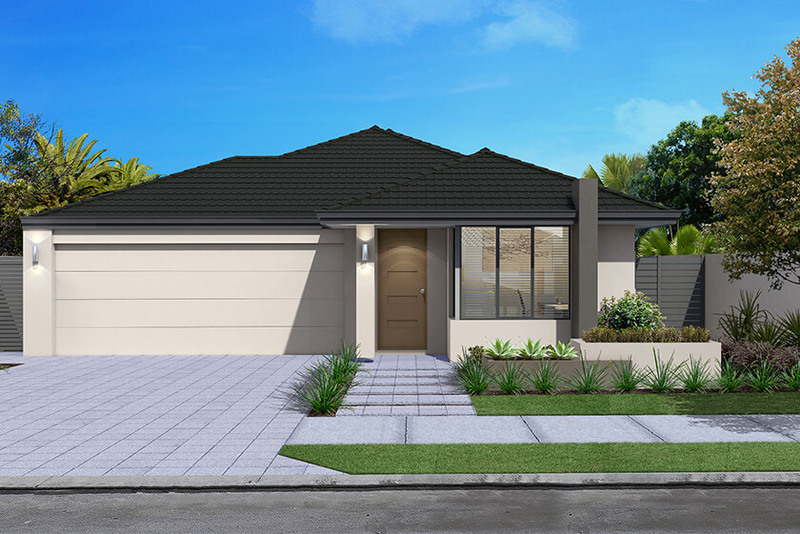 Suitable for a 15m wide block, The Cadell offers an ultimately practical floorplan ideal for first homebuyers, downsizers or young families. The hero of the home is the spacious open-plan kitchen, dining and living area that provides a central hub for relaxed living and entertaining. Sliding doors from the dining area provides opportunities to extend living spaces outdoors. When you’re after a quieter alternative away from the main living area, the separate home theatre offers a haven for watching TV and movies. 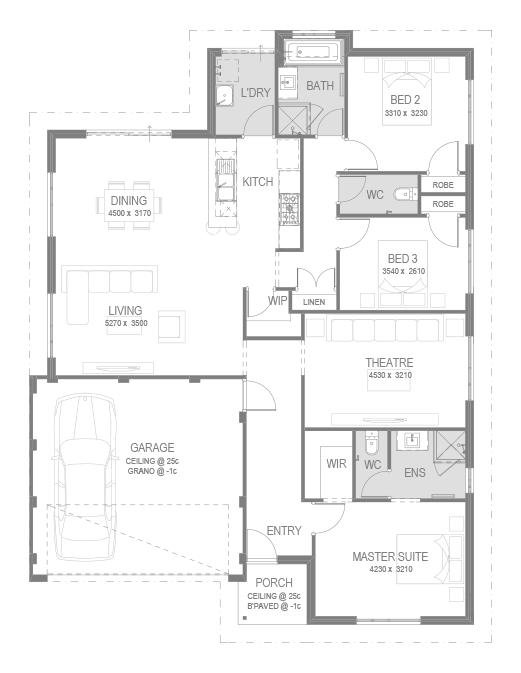 Thoughtful zoning places the master suite, with a walk-in robe and ensuite, at the front of the home, with two more bedrooms for children or guests at the rear of the home, adjacent to the second bathroom. You won’t be lacking for storage, with a walk-in pantry, a linen press and built-in robes in the minor bedrooms. The double garage has an internal shopper’s door for added convenience.